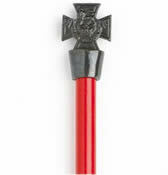 Patterns of Time Roman Infantryman Helmet Pencil Topper and Pencil - Pewter, New Products! A galea was a Roman soldier's helmet. Some gladiators, also wore a bronze galea with a face mask and a decoration, often a fish on its crest. The exact form or design of the helmet varied significantly over time, between differing unit types, and also between individual examples. This highly detailed Roman Infantryman Helmet is made from lead-free pewter and mounted on top of a 17.5cm black pencil. 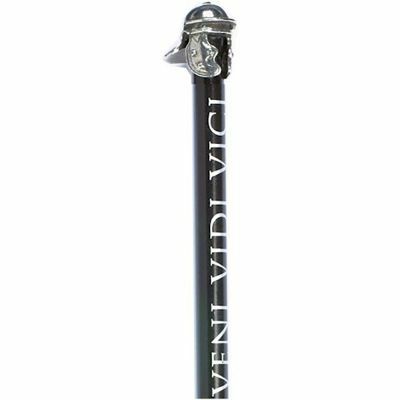 The pencil is printed with the famous quote by Julius Caesar 'Veni Vidi Vici' which translates from latin as 'I Came, I Saw, I Conquered'.